Organic cotton is grown using methods and materials that are friendly for the environment. This means that the use of toxic pesticides and fertilizers is dramatically reduced. The soil the cotton is grown on is replenished and maintained fertile, so that it doesn’t get exhausted. For instance, weeds that might harm the crop are removed by human hands and not by chemicals. Organic farming uses beneficial insects to control pests and keep the crop safe. Sometimes even a trap-crop is planted to lure the insects away from the cotton. In addition no genetically engineered seeds are used for organic cotton farming. Making sure that the product is pure and natural. 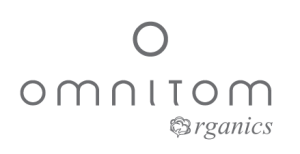 We at Omnitom firmly believe that organic farming is the way of the future, respecting nature and respecting ourselves, harming neither with toxic chemicals. That is why our some of our clothes are made of organic cotton with a lot of love and devotion to the yogic life style. All our clothes are designed, knitted, organically dyed and sown with the utmost care by people who love their work. The organic fabrics that we use are carefully selected and tested, so that you can enjoy the garment for a long period of time. All sewing is done with the utmost attention and eye to detail, giving you comfort and security. We use only the finest GOTS (GLOBAL ORGANIC TEXTILE STANDARD) certified organic fabric from our trusted Turkish supplier. Turkey is one of the three major suppliers of organic cotton in the world, and hold 40% of the world market. The organic combed jersey with brushed finish make the fabric so soft, that you feel enveloped in a gentle embrace.